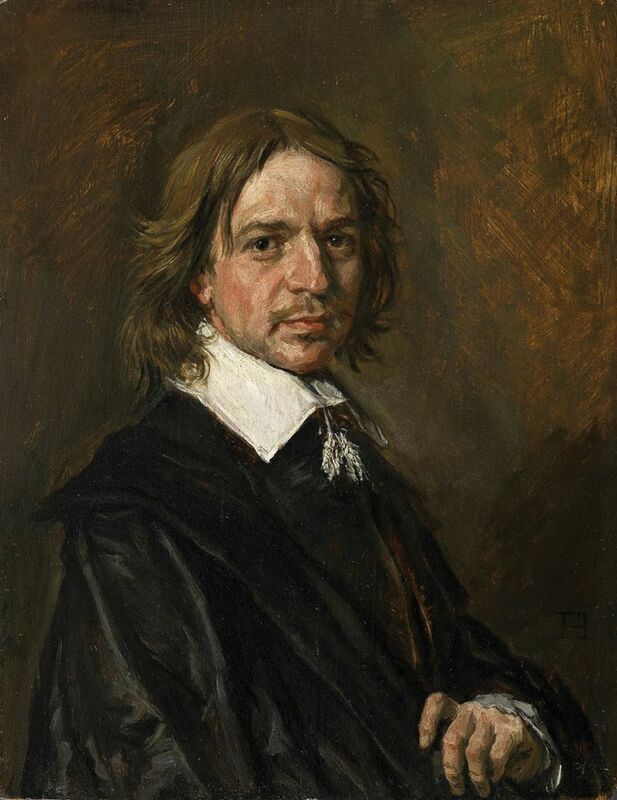 Update: Days before a closely watched trial was due to start in Commercial Court in London, Sotheby’s and the British art dealer Mark Weiss reached a settlement over a portrait bearing Frans Hals’s signature, which has been part of a major Old Masters forgeries scandal. According to papers filed on Monday 1 April, the dealer agreed to pay $4.2m. In a statement, Sotheby’s claims it is “pleased to have resolved the litigation with Mark Weiss and remains confident in its position against Fairlight”. Sotheby’s lawsuit against the Fairlight Arts Venture company, which was caught up in the deal, will continue to go to trial. The London-based company says it was “surprised by this late news” and maintains it was not bound by Sotheby’s contracts, as it was only acting as a financier for Weiss and his gallery. It has also accused Sotheby’s of “negligence” in its professional obligations. The court is due to hear a series of witnesses and experts in the case over the next two weeks. Now, nearly a decade later, the portrait of an unknown man, which bears Hals’s signature, is at the centre of a trial beginning on 2 April at the Commercial Court in London, the culmination of a long-running legal battle between Sotheby’s and the London-based art dealer Mark Weiss. Sotheby’s sold the painting privately in 2011 to the American collector Richard Hedreen for $11.2m when the auction house was acting on behalf of Weiss. The work had been purchased from Giuliano Ruffini, a Frenchman living in Northern Italy. However, the painting was later declared to be “without any doubt, a modern forgery“ by James Martin, now Sotheby's director of scientific research and the founder of the Sotheby’s-owned Orion Analytical laboratory. It became clear that Ruffini was at the centre of an investigation into a series of paintings and drawings, some of which passed through Sotheby’s Paris office, including a painting of Saint Jerome that the auction house now alleges is a fake Parmigianino. Sotheby’s New York suggested to Hedreen that his portrait be analysed by Orion Analytical. It purportedly revealed two modern pigments: blue phthalocyanine in the material under the layers of paint and white titanium in the painting itself. Weiss strongly disputes these findings and says that the portrait “is a genuine Hals and one of the finest works I have ever handled”. He names a long list of those who “authenticated the portrait”, notably the late art historian Seymour Slive and Pieter Biesboer, the former chief curator of the Frans Hals Museum, who said he “immediately recognised the fluidity and freedom of Frans Hals”. Weiss also questions James Martin’s independence—Sotheby’s bought his laboratory in the midst of the row and hired him to create a scientific department. The dealer’s lawyers also claim that Sotheby’s, as his agent in the sale, and for contractual reasons, did not have the legal grounds to take “the unreasonable and arbitrary” decision to rescind the sale to Hedreen. In its claim filed in February 2017, Sotheby’s maintains it had “an obligation” to do so “under a contract which guarantees that the work was not counterfeit”. The company says “it would never have accepted the portrait had it known it came from Ruffini”, with whom it was already in dispute regarding some Flemish paintings. Weiss claims that “Sotheby’s actually never questioned the work’s ‘private collection, Paris, France’ provenance.” The London dealer, who has subsequently had the painting tested, says he will be able to “strongly defend its authenticity in court“. This month’s hearing could last two weeks. Among the huge amount of evidence to be introduced are documents and testimonies from Christie’s and its experts. It is unusual for an auction house to call on its rival to support its case in court, and this could be the most intriguing aspect because it appears that Christie’s decided not to participate in the sale to the Louvre as early as the start of 2009. Christie’s has never made its position on the painting’s attribution official—and declined to comment for this article—but allegedly it was perplexed by the lack of a clear provenance and not everyone agreed on its quality. The auction house has also had to refund a still-life attributed to Adriaen Coorte sold by Ruffini.